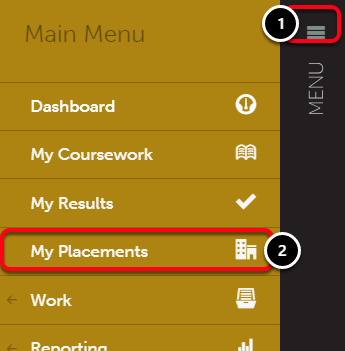 Once a Placement has been assigned to you or a proposed/applied for placement has been confirmed, you can begin completing your Placement. You will see a list of your Placements on the left side of the screen. 3. 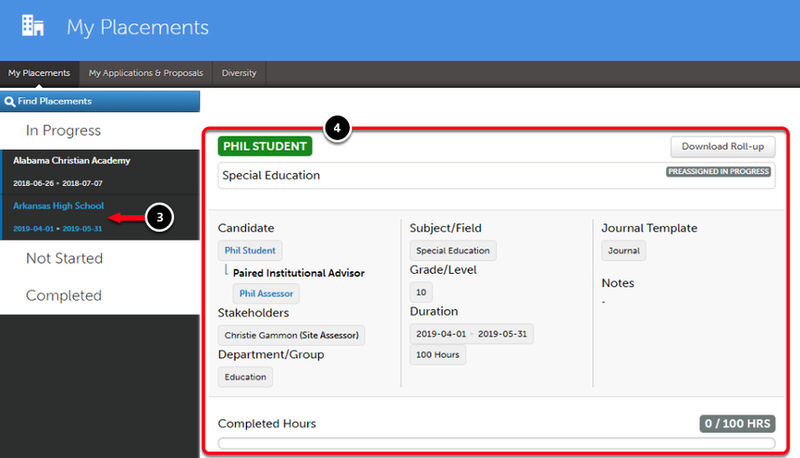 Select the placement you wish to work on by clicking it. 4. You can view an overview of the placement details at the right of this screen. 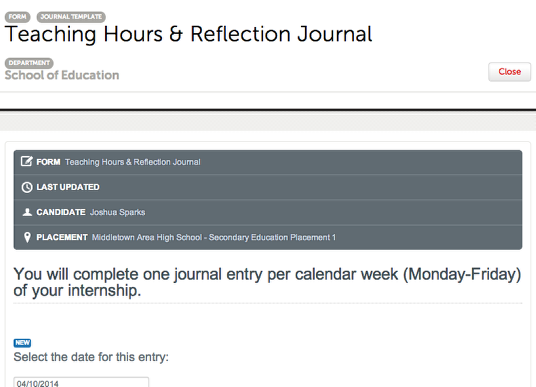 There may be a journal template associated with your Placement to allow you to track your hours and experiences. 5. To access and add entries, click on the placement's Name. 6. Click New Journal Entry. Complete the journal template. Once you have finished, click Save at the bottom of the template, followed by Close at the top of the template. If you wish to edit or delete an existing entry, use the 'Edit' and/or 'Delete' buttons to the right of the existing entries on this screen. You will not be able to edit or delete a journal entry which has been "signed off" on by your Guest Assessor/Stakeholder. 7. Click on the assessment and select Assess. 8. Click on the survey/form and select Take. Next: I used the 'forgot you password?' link, but have not received an email - where is it?